Not many capital cities offer the elegance and beauty that Riga has to offer. 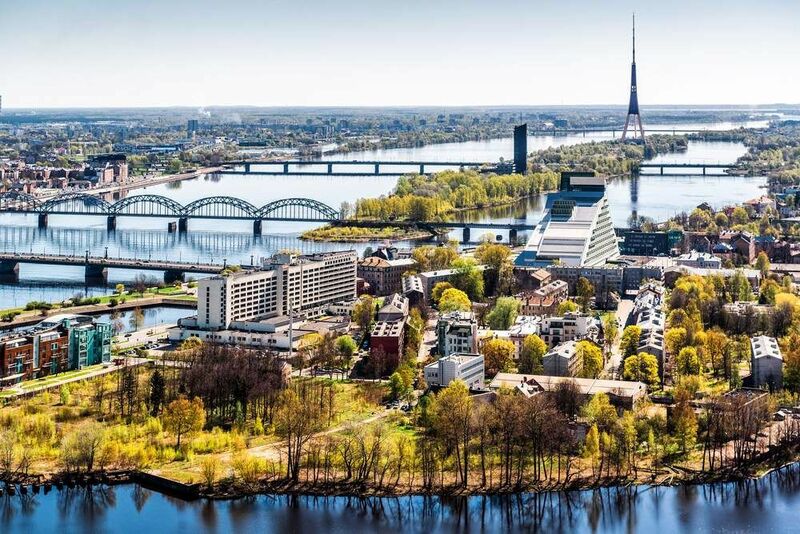 Set on the Baltic Sea, Latvia’s capital city is a hub for food, art, and medieval architecture. Riga is well-known for being a UNESCO World Heritage site, and for having architectural structures that date back to the 1800s. A place where centuries meet, you can be sure to find everything from the old to the new while walking through its mesmerizing streets and old buildings. Immerse yourself in the culture by catching a show or ballet at the Latvian National Opera and Ballet Theatre. Also, don’t miss Riga’s many cultural and historical monuments such as the Turaida Castle, Cesvaine Palace, and Riga Castle. Known as the Baltic gastronomic capital of Latvia, Riga's culinary experience is something else that you cannot miss. A fusion of cuisines, including modern and traditional Latvian dishes, is served in many of Riga's restaurants. The best way to get around Riga is definitely by joining one of their many free walking tours. Walking tours are the best way to see the real city, meet the locals, sample the food, and immerse yourself in the culture. Here are some of the most popular tours. This popular walking tour starts at noon from St. Peters Church. For about two and a half hours, the guide will take you to some of the most popular destinations including the Moscow District, Riga Central District, and Market area. For one and a half hours, the knowledgeable guide will take you on a sightseeing tour around Old Riga, while sharing historical facts about the city. The area of Old Riga is one of the top places to visit for those who want to experience the real architectural beauty of the city. Below you can find more popular (but not free) activities and tours in Riga. Are you from Riga and want to be a tour guide? Please get in touch by submitting your details on this page!